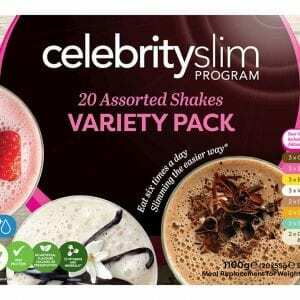 All your favourite flavours in one box – 14 assorted shakes. 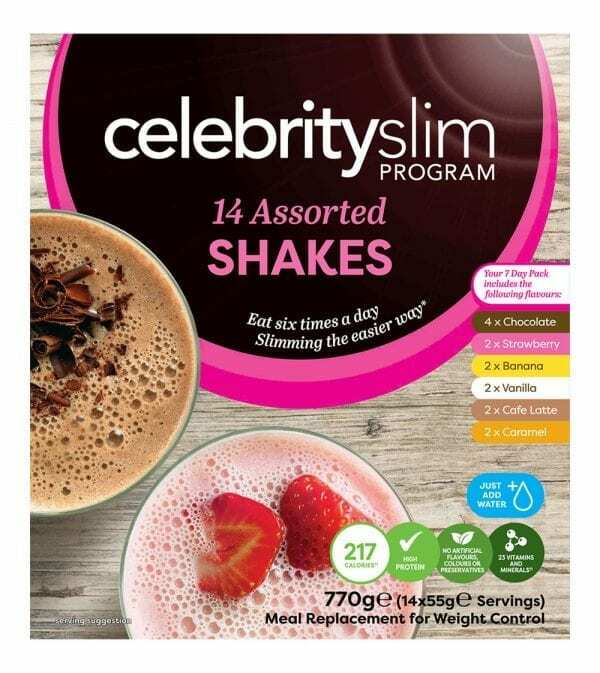 Each Celebrity Slim Meal Replacement Shake sachet contains a nutritionally balanced combination of protein, carbohydrates, fats, vitamins and minerals, to sustain your energy while you lose weight. Directions for use: Simply replace two meals a day with Celebrity Slim Shakes, Soups or Bars and eat one healthy balanced meal and 2-3 healthy snacks each day.